CAN YOU SMELL WHAT KING HASSAN IS COOKING? BBQ with Our Dearest Friends! Fate Grand Order is the Best Everyday! "Come on mashu, just a little closer"
Masters, we invite you to join the first ever “Chaldea BBQ Party”! For this illustration contest, we ask all Masters to submit their interpretation of what a BBQ party would be like in Chaldea. And don’t forget to bring your Servants! All Servants that have made an appearance in the Fate/Grand Order (English) version to date (1/16/2019) are eligible to attend. Please do not disclose or display personal information (name, address, phone number, location, etc.) on the submission.  Regardless of the contest results, all or part of the submitted materials may be used or displayed on the website's top page or at events. (May or may not be altered and edited to fit for its purpose). All winning entries will be displayed on our website. In addition, submitted materials may be displayed on the show floor of Fate/Grand Order U.S.A. Tour 2019 in Los Angeles kickoff event. Contest is open only to legal residents of the fifty (50) United States, the District of Columbia, Puerto Rico, and Canada who are eighteen (18) years of age or older as of the date of entry. 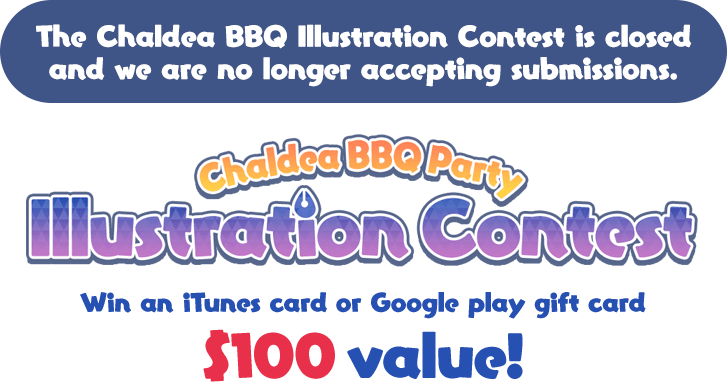 Please read the OFFICIAL CHALDEA BBQ PARTY ILLUSTRATION CONTEST RULES carefully. Artwork may be submitted up until 11:59 p.m. Pacific Standard Time on 2/5/2019. No artwork will be accepted past the posted deadline. To preserve the integrity of the contest, Aniplex of America, Inc. unfortunately cannot respond to any inquiries including inquiries regarding status or confirmation of submissions. Three (3) prizes will be awarded, each consisting of an iTunes or Google Play gift card in the amount of $100. Total approximate retail value of all prizes is $300.